- Romeo’s Daughter is fronted by vocalist Leigh Matty, with Craig Joiner (guitarist, songwriter and producer), Ed Poole (bass player and co-producer) and Andy Wells on drums. Together they deliver that unique Romeo’s Daughter sound. ‘Spin’ , the critically acclaimed 4th studio album produced by Craig Joiner and Ed Poole takes the much loved Romeo’s Daughter sound to new levels, full of intricate song writing that shares loves, life and worldly insights with the listener. After a break of 15 years, Romeo’s Daughter returned to the studio following a set of successful live performances during 2009. ‘Rapture’ was released in 2012 to worldwide praise for its astounding song writing, performance and production. The first single from the album, 'Bittersweet', made it into Classic Rock Magazine’s 'Top songs of 2012' chart along with Leigh achieving Number 5 in their ‘Lady Rock Singer of all time’ list. 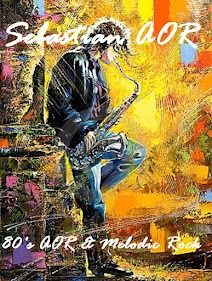 Not everyone starts off a recording career with their debut album being produced by music industry heavy weights such as ‘Mutt’ Lange or John Parr. 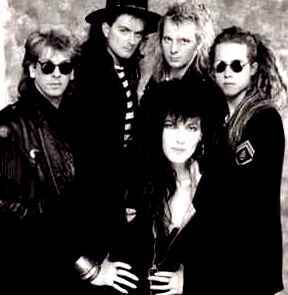 But in 1988 Romeo’s Daughter did exactly that with their self-titled debut album produced by both ‘Mutt’ Lange and John Parr. The debut album delivered a US Billboard Hot 100 with “Don’t Break my Heart” charting at #73 on during a promotional trip to the U.S.A. “Heaven in the Backseat" also from the debut featured as the opening track of 1990 film “Nightmare on Elm Street 5” The calibre of their songs attracted many established artists; Heart covered the single ‘Wild Child’ on their 3 million selling album ‘Brigade’, achieving No. 2 on the Billboard Rock All Play chart. Eddie Money, Bonnie Tyler and the recently reformed Steps too, have had recording successes with other Romeos’ titles. With a fan base that never gave up on the band, Romeo’s Daughter were tempted to reform for what was originally going to be one off performance at the Firefest festival in 2009. Encouraged by the rapturous reception they received, the band decided to continue their journey where they left off in the 1990s. They continue to tour, consistently preforming to sell out audiences at such events as HRHAOR and Cropredy in the UK, HEAT festival in Germany, whilst performing their own shows at venues across the UK and Europe. - Romeo's Daughter are a British AOR, contemporary and mainstream rock band featuring Leigh Matty, Craig Joiner and Anthony Mitman. The band released two albums in 1988 and 1993 respectively. The band then reformed in 2009 and have toured extensively, as well as releasing new material: a live EP of past hits and an album of new material Rapture in 2012 and "Spin" in 2015. The current line up is Leigh Matty, Craig Joiner, Ed Poole and Andy Welsford. The original manager of the band was Olga Lange, then the wife of Robert John "Mutt" Lange. Mutt Lange was impressed by their song-writing abilities and agreed to produce (part of) their debut album. Hence, Romeo's Daughter was often seen as protégés of Mutt Lange. The first album contained the singles "Don't Break My Heart", "I Cry Myself to Sleep at Night", covered by Bonnie Tyler and Chrissy Steele and "Heaven in the Back Seat", the latter from the A Nightmare on Elm Street 5: The Dream Child soundtrack. The album was produced by Mutt Lange and John Parr. "Wild Child" (written by Mutt Lange) was later covered by Heart on the Brigade album, and "Heaven in the Back Seat" was covered by Eddie Money on his 1991 album, Right Here. The second album, Delectable was a more mature affair, although it was released on the smaller Music for Nations label so got less exposure. Mitman went on to work with FM and other bands while the band quietly broke up in the mid 1990s. 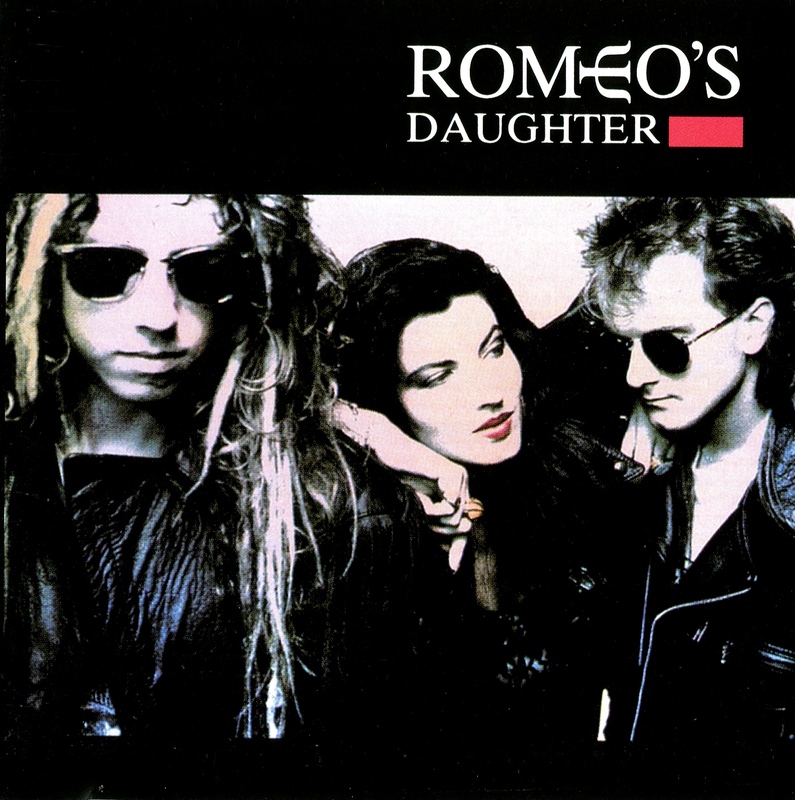 On 25 February 2008, Romeo's Daughter's first studio album was reissued by Rock Candy Records on CD with bonus material, a 16-page full colour booklet with original and new artwork, etc. After this reissue Romeo's Daughter reformed and are performing shows. These appearances included a small warm up gig on 13 October 2009, and their main event of 2009 was Firefest VI at Nottingham Rock City on 24 October 2009. In 2009 the band announced that they would be releasing new material through Riff City Records in the 'near future'. The band played some dates during Summer 2010 and performed new material. The band's second album, Delectable, was reissued in July 2011. On 22 October 2011, Romeo's Daughter released a 3 Track live EP available via download sites such as iTunes. In March 2012 the band released their first new album in 19 years, Rapture and during 2012 they performed more live tour dates. In 2012, lead singer, Leigh Matty, was voted Number 5 Lady Rock Singer of all time in Classic Rock Magazine and their single 'Bittersweet' was in the 'Top songs of 2012' chart. During 2013 the band toured the UK and performed at festivals including Fairport's Cropredy Convention and Hard Rock Hell. A live album and DVD filmed live at Derby Guildhall was released in 2014. In 2015 the band released another album of new music titled Spin which has been receiving an incredible reception at gigs and festivals all over Europe - “Spin is another winner”(Classic Rock). - Romeo’s Daughter are a British AOR mainstream rock band featuring Leigh Matty, Craig Joiner and Anthony Mitman. The band released two albums in 1988 and 1993 respectively. The band then reformed in 2009 and have toured extensively, as well as releasing new material: a live EP of past hits and an album of new material Rapturein 2012. Their eponymous debut album released in 1988 was produced by ‘Mutt’ Lange and John Parr and released on the Jive label. During a promotional tour of the U.S.A the first single ‘Don’t Break My Heart’, leapt up the US Billboard Hot 100 Singles Chart. The calibre of their songs attracted many established artists; Heart covered the single ‘Wild Child’ on their 3 million selling album ‘Brigade’, achieving No. 2 on the Billboard Rock All Play chart. Eddie Money, Bonnie Tyler and the recently reformed Steps too, have had recording successes with other Romeos’ titles. Their track ‘Heaven in the Backseat’ was also the opening track for the film, ‘Nightmare on Elm Street 5’. This album has subsequently been remastered to 24 bit standard from the original source tapes and released on Rock Candy records. It includes 3 bonus live tracks, the story of the making of the album, previously unpublished photos, all spread out over a super 16 page full colour booklet. 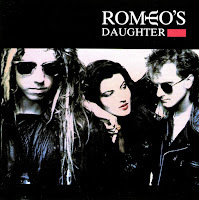 On 25 February 2008, Romeo’s Daughter’s first studio album was reissued by Rock Candy Records on CD with bonus material, a 16-page full colour booklet with original and new artwork, etc. After this reissue Romeo’s Daughter reformed and are performing shows. These appearances included a small warm up gig on 13 October 2009, and their main event of 2009 was Firefest VI at Nottingham Rock City on 24 October 2009. In 2009 the band announced that they would be releasing new material through Riff City Records in the ‘near future’. The band played some dates during Summer 2010 and performed new material. The band’s second album, Delectable, was reissued in July 2011. On 22 October 2011, Romeo’s Daughter released a 3 Track live EP available via download sites such as iTunes. In March 2012 the band released their first new album in 19 years, Rapture and during 2012 they performed more live tour dates. In 2012, lead singer, Leigh Matty, was voted Number 5 Lady Rock Singer of all time in Classic Rock Magazine and their single ‘Bittersweet’ was in the ‘Top songs of 2012’ chart. During 2013 the band toured the UK and performed at festivals including Fairport’s Cropredy Convention and Hard Rock Hell. 2013 is proving to be another successful year for the band and they performed at the HRHAOR festival in April to a packed audience who loved every minute of their set. They are third on the bill at this year’s annual Cropredy festival in August, with Alice Cooper headlining and are planning another UK tour at the end of the year.